Are you using Autodesk 360 service? 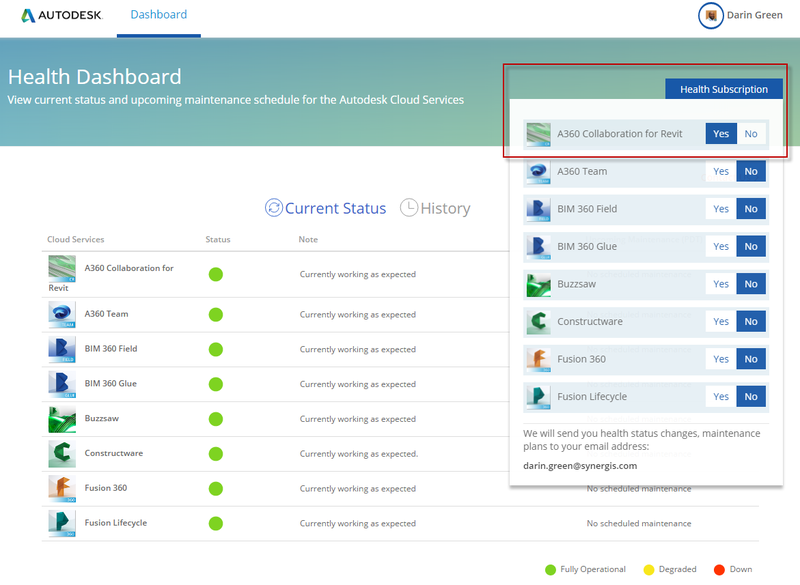 If so, you should probably have this link handy: Autodesk Health Dashboard. Recently, Autodesk tied the status of their service to a single webpage where users can check the status for outages. There have been times when these services have been down and we begin seeing a spike in call volume for support. Synergis, as well as any other reseller, does not have the ability to troubleshoot these issues on the backend. When you encounter these issue, please check the Health Dashboard for the status of those services first with Autodesk Health Dashboard.